The central conceit of “The Dream Factory” — four friends making money by impersonating any characters requested by their clientele — has been taken to more elaborate situational extremes here. “What you don’t dare imagine, we dare to do,” goes the slogan of Personal Tailor, a company that provides a far more benign version of the services offered in David Fincher’s “The Game,” allowing regular men and women to see their wildest dreams temporarily realized. We get a glimpse of their handiwork in the film’s amusing prologue, in which a woman willingly submits to interrogation, detainment and a six-day hunger strike as the star of her own WWII resistance fantasy, playfully shot in black-and-white. Personal Tailor is run by Zhong Yang (Feng regular Ge You), the “director of dreams,” and his resourceful employees Miss Bai (Bai Baihe), the “fantastician”; Lu Xiaolu (Li Xiaolu), the “caterer of whims”; and Ma Qing (Zheng Kai), the “spiritual anesthetist.” For all their elaborate titles, however, they’re essentially members of a scrappy, high-concept acting troupe, called upon to wear as many hats as possible, literally and figuratively, in order to satisfy their clients’ demands. From this premise, Wang Shuo’s script strings together three vignettes (well, three-and-a-half), getting in a few modest digs at China’s political, artistic and economic values in the process. 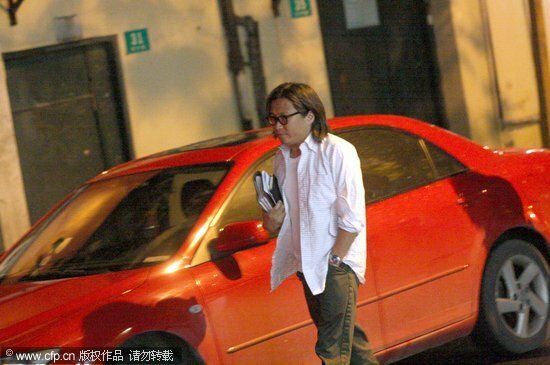 In the first segment, “Honest Instincts,” a chauffeur (Fan Wei) whose previous high-ranking employers were all busted for accepting bribes, decides to test his own moral resilience by assuming the role of a village chief. Local peasants, foreign dignitaries and his own staff, all played by the Personal Tailor quartet (outfitted in an array of costumes by Dora Ng Li Lo), do their utmost to tempt him with financial and even sexual favors, though as Yang tartly observes, the “chief” turns out to be susceptible to a much more banal form of corruption. The most touching and trenchant of the three tales, “Mo’ Money,” finds the Personal Tailor crew returning a favor to the impoverished Mrs. Dan (Song Dandan), allowing her to play the part of a billionaire for a day. Cloaked in expensive finery and perfume, and spending her $14 million daily allowance on swanky real estate, Mrs. Dan gets an ample taste of the high life, as well as a sense of the dissatisfactions and undesirable obligations that it brings. If this development strikes some viewers as an apologia for the rich, or an argument against social mobility, it’s entirely consistent with Feng’s dryly ironic worldview, acknowledging the sheer difficulty of retaining any sort of principles in a position of power. While Zhao Xiaoshi’s widescreen cinematography and Shi Haiyang’s production design supply no shortage of visual polish, “Personal Tailor” remains a modest, low-pulse endeavor throughout, meandering from one story to the next and never allowing any of its four principal characters to really come into focus. Yet over the course of its generally absorbing if overlong 117-minute running time, it offers a brief and appreciably sympathetic take on the lure of fantasy, the pleasures of role play and the thrill of commanding the multitudes — which is to say that it’s, among other things, a film about filmmaking. (China) A China Lion Film Distribution (in U.S.) release of a Huayi Brothers Media Corp. and Huayi Brothers Intl. presentation of a Chonqing Film Group, Emperor Film Prod. Co., Sparkle Roll Media Co., Anhui Broadcasting Corp., SMG Pictures, the One Investment Fund Management Co. presentation, in association with China Film Co-Prod. Corp., of a Huayi Brothers Media Corp., Bon Voyage Film Studio, Huayi Brothers Intl., Beijing Live Planet Film Co. production. Produced by Wang Zhongjun, Liu Guangquan, Albert Yeung, Jackie Chan, Zhang Suzhou, Qiu Xin, Wang Yiyang. Executive producer, Hu Xiaofeng. Co-producers, Zhou Lifang, Li Chaoyang, Su Xiao, Wang Ren. Co-executive producers, Zhang Dajun, Huang Xiang, Albert Lee, Qi Jianhong, Zhao Hongmei, Yang Wenhong, Zhang Jiaming. Directed by Feng Xiaogang. Screenplay, Wang Shuo. Camera (color/B&W, widescreen), Zhao Xiaoshi; editor, Zhang Weili; music, Luan Shu; production designer, Shi Haiyang; costume designer, Dora Ng Li Lo; sound, Wu Jiang; line producer, Hu Xiaofeng; associate producers, Bernard Yang, Helen Li. With: Zhang Guoli, Chen Daoming, Li Xuejian, Zhang Hanyu, Fan Wei, Feng Yuanzheng, Xu Fan, Adrien Brody, Tim Robbins, Yao Jingyi, Peng Jiale, Li Qian, Yuan Huifang, Zhang Shaohua, Wang Ziwen (Xingxing), Zhang Mo, Zhao Yi, Zhang Shu, Tian Xiaojie, Ke Lan, Zhang Guoqiang, Yu Zhen, Zhang Chen’Guang, Lin Yongjian, Duan Yihong, Ke Lan, Liu Lili, James A. Beattie, Du Chun. The emotion that was joined to spectacle in Feng Xiaogang’s mega-blockbuster “Aftershock” is exchanged for generic suffering and a few big yet uninvolving fighter-jet strafings in the helmer’s “Back to 1942.” Reportedly costing $35 million, Feng’s epic is set during the horrific Henan famine, when drought and the threat of a Japanese invasion were exacerbated by lamentable judgment from the Nationalist government. Shifting between individual suffering (performed, not felt) and extended political and business deliberations, the pic displays its budget but not its heart. China Lion will release the film in the U.S. and Canada day-and-date with its Nov. 30 mainland rollout. Adapted from an essay/family memoir by novelist Liu Zhenyun, credited as scriptwriter, “Back to 1942″ shines a light on a chapter of Chinese history little known in the West, overshadowed by WWII (conceded in the narration) and the Great Famine 16 years later. Approximately 3 million people died of starvation in Henan in 1942-43, and while Feng largely sticks with two families, one rich, the other poor, he’s also thrown enough extras into the Korea-lensed scenes to approximate a sense of mass tragedy. If only he’d focused on the drama rather than the spectacle of misery, he might have delivered a genuine heart-tugger instead of this dutifully crafted marathon. Lord of the manor Fan (Zhang Guoli) is a wheeler-dealer willing to regretfully sell out his starving tenants to keep his wealth. When the locals riot, he and his family hit the road with other refugees in search of food and protection from threatened Japanese attack. Neither comes from the Chinese army, which has received orders from Chiang Kai-shek (Chen Daoming) to commandeer grain for the soldiers. Time magazine newshound Theodore White (Adrien Brody) tries to convince Chiang of the severity of the famine, but the Generalissimo, as he was known, expresses concern yet does little to alleviate the suffering. Meanwhile, starving refugees flee northwest but find no relief. 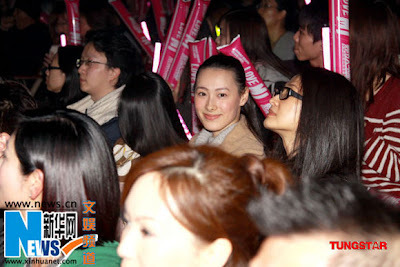 Fan loses his mother (Liu Lili) and daughter-in-law (Li Qian) to hunger, and his wife to a Japanese air attack. 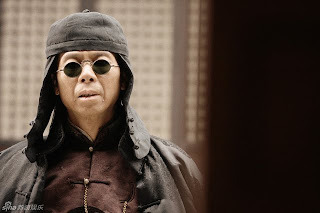 His former tenant Xialu (Feng Yuanzheng), still deferential, has similar tragedies, which force the remaining members of the two families together on an equal basis. The scenes of suffering have a plodding feel, largely because along with their predictability is a constant awareness that beneath the increasingly threadbare clothes are actors who get to scrub their well-fed faces each evening. Not that the performers should suffer, of course, but “Back to 1942″ rarely gets across true emotion. More believable are the frequent business deals being made, even among people who’ve reached the limit of endurance; the constant horse-trading conveys more about the Chinese character than the pic says about Chiang and his motivations. Easily disposable are scenes of Tim Robbins half-heartedly attempting an Irish accent as Father Thomas Megan (the real priest was born in Iowa); Brody fares slightly better. Occasional battle sequences, with Japanese planes first bombing and then strafing refugees as well as the city of Chongqing, offer the requisite explosions and noise, but feel thoroughly standard in execution. Similarly, visuals are precisely what’s expected yet nothing more, including the usual muted tonalities, almost black on brown, too often favored by historical epics equating seriousness with a lack of color. Camera (color, widescreen), Lu Yue; editor, Xiao Yang; music, Xiao Jiping; production designer, Shi Haiying; art director, Sun Li; costume designer, Tim Yip; sound (Dolby Atmos), Wu Jiang; visual effects producer, Chang Hongsong; associate producer, Bernard Yang; line producer, Hu Xiaofeng; assistant director, Ying Tong. Reviewed at Rome Film Festival (competing), Nov. 11, 2012. Running time: 144 MIN. 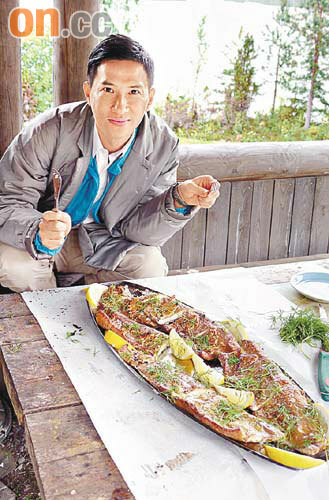 Top box office director Feng Xiaogang depicts the 1942 famine in China in a spectacular epic produced by the Huayi Brothers. The grand vision and sweeping scope of the Huayi Brothers’ $33 million Back to 1942 yield some stirring scenes but not much emotional impact, in director Feng Xiaogang’s epic reconstruction of the deadly famine that struck Henan Province during China’s war with Japan, leaving 3 million dead of starvation while Chiang Kai-shek’s government largely looked the other way. This is another key piece of historical documentation of the horrors linked to the Second World War and an important political acknowledgement on the part of China. Yet there is surprisingly little emotional resonance with the well-drawn and acted characters, making it a tiring two and a half hour trek for filmgoers who don’t have a stake in the history it recounts. Obviously aimed at the international marketplace, but ultimately of little avail, are two American actors in the already unwieldy cast: Tim Robbins as a Catholic bishop in China and, more plausibly, Adrien Brody as the noted American journalist and “China Hand” Theodore White. 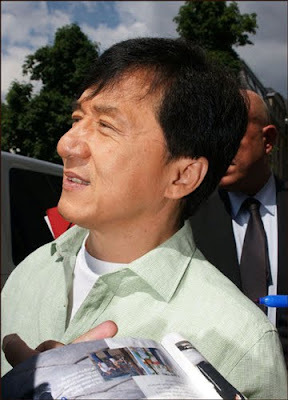 Both characters seem tacked on as an after-thought to Liu Zhenyun’s screenplay, especially Robbins’ walk-on scene as the Irish Father Megan, who consoles a Chinese missionary (Zhang Hanyu) whose faith is shaken by the horrors he has seen. 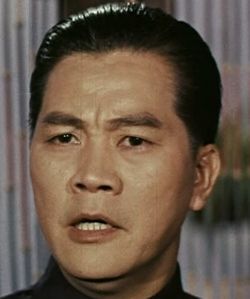 Brody’s White is fitfully woven into the story as the classic eyewitness with a camera; it’s not a very original or compelling role, yet he does seem to influence history by pleading with Chiang Kai-shek to send relief to the starving masses and embarrassing him with his pieces in Time magazine. But these two men are quite marginal to the epic story, which casts its net wide over a huge cast of historical and fictional characters. Top Chinese boxoffice director Feng, who made a name as an actor in hits like Kung Fu Hustle before directing big budget productions like If You Are the One and the earthquake epic Aftershock, directs this relentless exposé of horrors with panache but less empathy than, say, Wang Bing’s 2010 The Ditch, a memorial to the million Chinese caught in the political purges of the 1950s and deported to forced labor camps. As the story begins, a great drought is in progress and the walled village of Yanjin in central China is running out of food. When a band of hungry farmers threatens to attack, rich property owner Fan (Zhang Guoli) agrees to feed them, but secretly sends for the guards. This sets the stage for the first big action sequence, a spectacularly filmed fight for food in which many are killed and the village is torched. 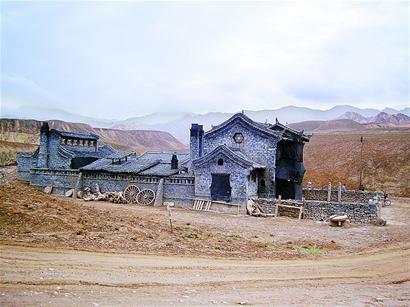 Fan, his family, their stubborn servant Shuang Zhu (Zhang Mo) and his tenant Hua Zhi (Xu Fan) are forced to set on the road with the other survivors or starve to death. (Some 10 million became displaced persons in this period.) Though they have a cart and more millet than the other wretched refugees, their supplies dwindle fearfully after a month on the road and the social distance between the Fans, their tenants and servants begins to evaporate. Their long march eastwards to the province of Shaanxi is filled with death and misery. Falling in with some retreating Nationalist Chinese soldiers, they are targeted by Japanese warplanes and are almost wiped out in an extended, edge-of-seat bombing sequence that is masterfully shot and edited. Intercut with the refugees’ march, political figures of the day meet and make fateful decisions. There is proud, image-conscious Chiang Kai-shek (Chen Daoming) and his elegant wife Soong May-ling, the dismissive American ambassador Clarence E. Gauss, the dignified but helpless Henan governor Li Peiji (Li Xuejian) and others who fail to relieve the human disaster. It is curious that, despite the fine cast lead by Zhang Guoli as the humbled landowner Fan and many touching scenes underlining their tragic plight, the story unfolds more like a reconstructed documentary with thrilling battle scenes, than a heart-wrenching tale about the Chinese people’s capacity for resistance in the tradition of Zhang Yimou. In the absence of important female characters, the story has only the stoic, dignified Fan to provide the viewer with an emotional link to the refugees and doesn’t offer the pay-off needed for this long a film. Tech work is very high quality throughout and rises to the challenge of filming what looks like thousands of extras on screen at the same time. 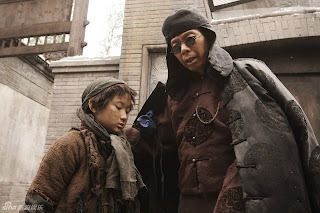 Adding convincing realism to the visuals is sure-footed cinematography in restrained grays and browns by Lu Yue, known for his work with Zhang Yimou, and costume designer Timmy Yip’s padded rags which envelope the refugees head to foot. One of the two Far East surprise films on display at the Rome Film Festival, Feng Xiaogang’s sprawling $35 million production, the most elaborate, richly endowed effort of the Chinese film industry this year, is likely to mark up another success in the director’s long list of national hits. The production spares no effort in reconstructing the ravages of the 1942 Henan famine which claimed the lives of more than three million people, spelling in great detail all the atrocities endured by the victims of the three year drought, which combined with locusts, earthquakes and epidemics to plague the province. At the same time, Liu Zhengyun’s script, based on his own essay Remembering 1942, beyond evoking the terrible events also underlines the responsibility of the corrupt Chiang Kai-Shek’s regime, which, instead of doing something about it, was busy debating how to keep the tragedy out of the world’s eyes while exploiting it to its advantage in the war against Japan and in its struggle to grab a place among the nations deciding the future of the world after WW2. An imposing, technically sophisticated achievement, Back To 1942 (Yi Wu Si Er) covers a lot of ground and deals with a large cast of characters, but somehow, as if to confirm the old saying that one man dying is a tragedy but a million deaths is a statistic figure, it is rather the size of his film and the dexterity that went into its making which will affect Western audiences more than its contents. Feng, whose past record includes such Chinese blockbusters as Assembly and Aftershock, selects a series of representative characters to follow on the harrowing 105 day march from Henan to Shaanxi in the west. 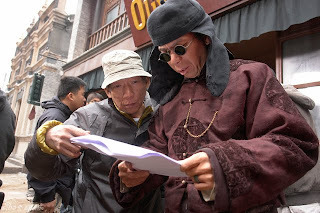 First there is a rich landlord, Fan (Zhang Guoli) who will be forced to join the convoy of destitute refugees going westward, and his loyal servant Shuang Zhu (Zhang Mo) who follows him almost to the end of the journey. Fam will lose not only his properties but also his son, then his daughter-in-law, his wife and his newborn grandson, before having to sell his beloved younger daughter, Xingxing (Fiona Wang) in order to survive another day. Shuang will share all of his master’s miseries and marry - for one day only - a widow who he must sell out the next morning in exchange for the food that will keep her children alive. And there’s more. Time Magazine reporter Theodore White (Adrien Brody) who breaks the famine story in the west to the great embarrassment of the Kuomintang regime; Father Sim (Zhang Hanyu) who loses his faith in a God that allows such miseries to take place, and Catholic priest Thomas Megan (Tim Robbins) who helplessly looks for a satisfactory answer. The discussion between these two is not unrelated to topics associated with the Holocaust in Europe. And finally, among the rulers, there is province governor Li Peiji (Li Xuejian) whose half-hearted attempts to bring some relief to the suffering are sardonically thwarted and Chiang Kai-Shek himself (Chen Daoming), the all-powerful Generalissimo manipulating through wars and natural disasters with only one goal in mind, preserving his own power and reputation at whatever cost, even if it means sacrificing a whole starving province to the Japanese armies so that the responsibility rest on their shoulders. Labels are inevitable in these conditions. The masses of tattered, emaciated peasants are obviously the heroes, the ruling class sampling delicacies while millions are wasting away around them are the villains and the Japanese are the soulless murderers. Splendid camera work and richly imaginative production design offer a breathtaking study in grey – the entire picture takes place in winter with the sun entirely banished from it – with flashes of red fire and black smoke adding to the terrifying images. Though both American actors look rather uncomfortable in their roles, the Chinese cast is mostly up to the challenge, with Chen Daoming’s Choang Kai-Shek a particularly blood-curling performance as the man to fear and hate. A saga that will, no doubt, be cherished at home but most likely be filed abroad as yet another lesson in modern Chinese history. Finally, for the film publicists’ records, this was not the most tragic famine China has experienced - that one took place later, between 1958 and 1962, when at least 15 million (to quote official numbers) lost their lives. The film market is like a highway. If too many cars take to it at the same time, there will be a traffic jam. In that case, even a BMW can’t drive at top speed. 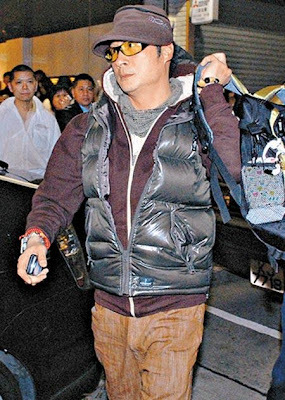 Francis Ng to be charged with ‘wounding’ for New Year’s Day fracas? Vivian Hsu was in Taipei to promote her new TV series ‘Love Strategy’. 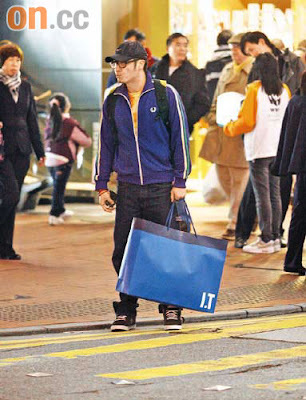 The series costars Korean Kim Jung-Hoon.